other times I’ll make it on the dry side. 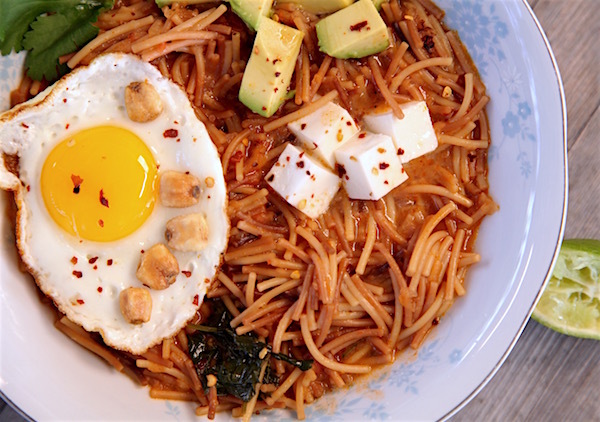 Adding in a few cubes of panela cheese and avocado, a fried egg, and corn nuts with a squirt of fresh lime juice is my favorite way to serve it. 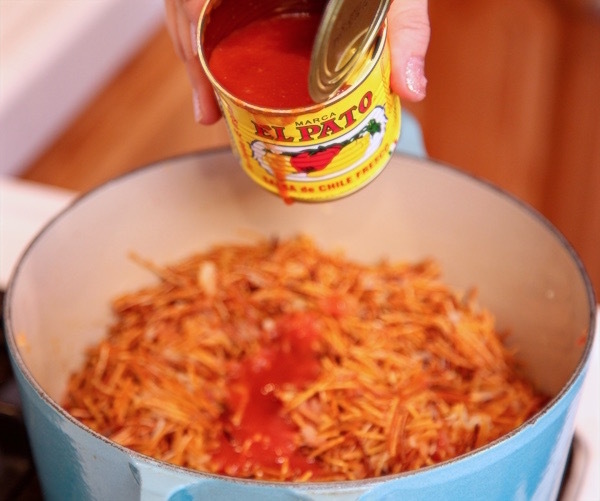 But the key to a great bowl of spicy fideo is the pasta…. My Mom and I keep each other updated on which pasta brands are good and which don’t pass the test. I feel like we have tried every brand out there but no matter what pasta dish I create, Barilla has always proven to be the best, and my mom agrees. 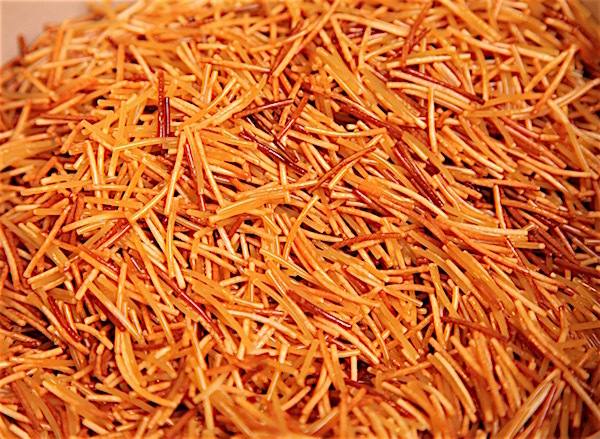 Barilla’s Fideo Cut Spaghetti is perfect for fideo pasta. Wow, it made me realize that us Latinas have a wealth of cultural heritage and flavors, that span many generations to tap into, when cooking family-treasured meals. 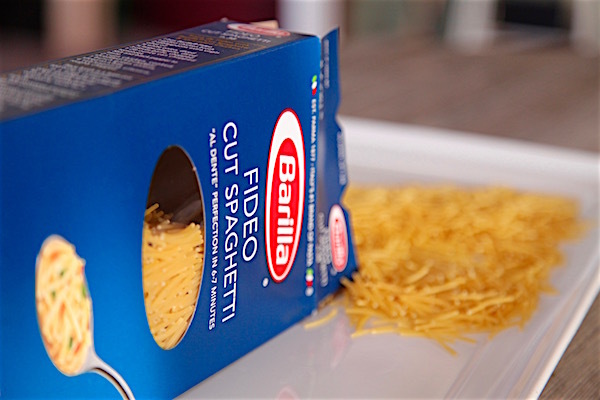 Likewise, Barilla has four generations of experience making quality “al dente” pasta that doesn’t clump or break. 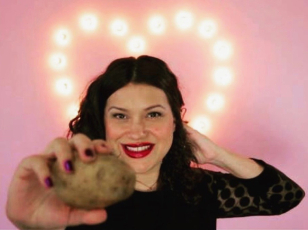 With Barilla’s new culinary movement, Latino Italian Fusion, Latinas are further inspired to use pasta as a blank canvas to get creative in the kitchen. 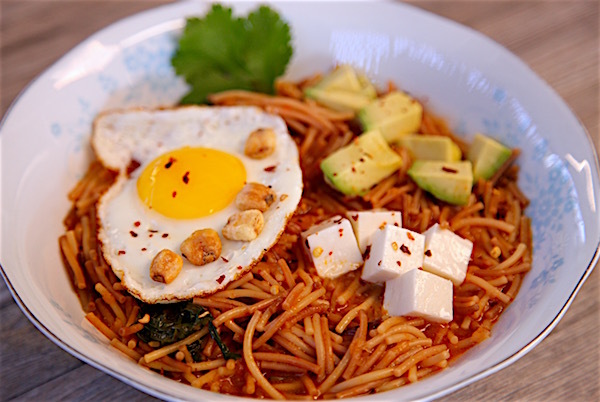 This movement combines the best of Latin flavors and ingredients with traditional pasta dishes. With that being said, it came as no surprise that Barilla has conquered the fideo / cut spaghetti game with a perfect pasta for my sopa de fideo. My favorite Latino flavors and spices combined with traditional Italian ingredients, creates a delicious meal perfect for family gatherings or a party of two, for mother and daughter. Place a dutch oven or large pot over a medium high flame. Add in vegetable oil and allow it to get hot. 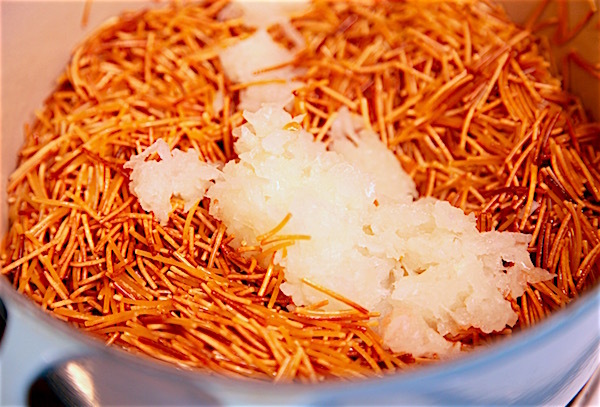 Pour in Cut Spaghetti / Fideo and mix to coat all pasta with oil. Allow pasta to fry in oil for 10 minutes stirring occasionally. 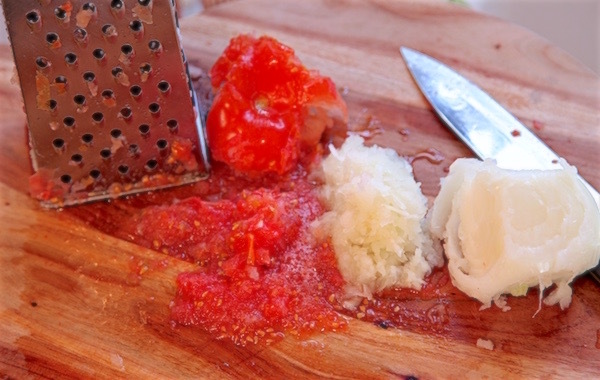 Continue frying until most pasta is browned and some pieces look slightly burned. Add in onion and garlic. Mix to combine. Add in tomato, oregano, and chili flakes. Mix to fully combine. Pour in El Pato, and vegetable broth mix to combine. 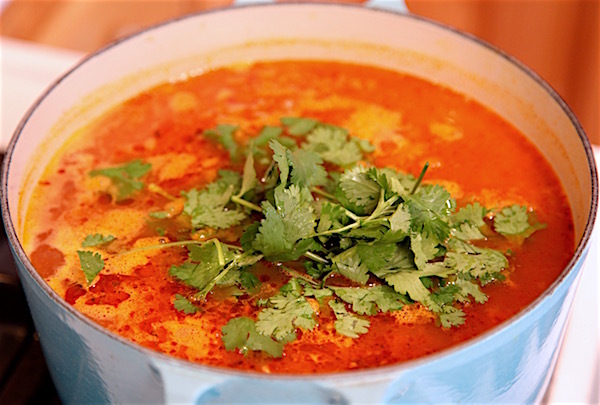 Raise flame to high and add in cilantro. Cook for 15 minutes or until pasta is al dente. Serve immediately and garnish with panela cheese, avocado, fried egg, corn nuts, fresh cilantro and a fresh squeeze of lime juice. 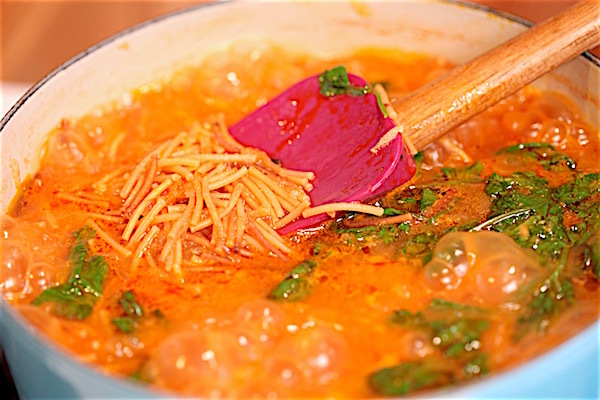 * For a soupy version of spicy fideo add 9 cups of broth instead of 6 cups. 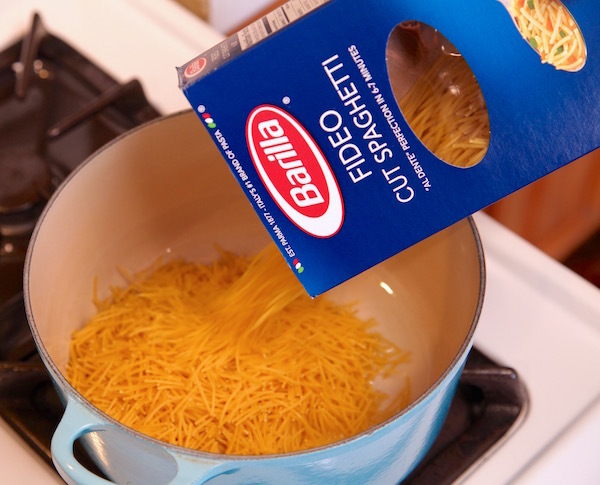 Disclosure: This is a sponsored post on behalf of Barilla, however, my opinions are entirely my own, and I have not been paid to publish positive sentiments towards Barilla or their products. Keep Glowing With Microwave Mug Berry Cobbler!